There should be only two brands in Western Australian wine marketing. Margaret River and Western Australia. Although it is possible to market your wine as belonging to your local area (appellation/Geographic Indication/GI) this is a marketing blunder and wineries located outside Margaret River should follow a different path. Margaret River has done a great job establishing a brand. The small number of pioneers who won international awards generated momentum and attracted a larger number of followers. These included well established West Australian companies, behemoths like BRL Hardy, a string of smaller cellar door operators and many entrepreneurs. All up, a great mix of different talents. That’s enough about Margaret River. Now I’m going to talk about ‘West Australia’, by which I mean, non-Margaret River. West Australian wines are not going to cut it marketing themselves with their GIs. Although they make some extremely good wines, theirs are small and unknown GIs nationally and internationally. They just do not have a critical mass for marketing purposes. A different marketing strategy is needed that lets them market themselves as a coherent entity. The Wine Industry Association of WA understands this problem and with the help of some state government funding and support from some corporates has established a brand as an export marketing tool. There are two problems with this. One: the positioning is not right. 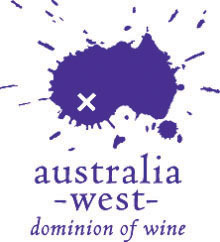 “Dominion of wine” says nothing about West Australia and frankly, is pompous. And don’t get me started on Australia-West. Two: most of the WA wineries continue to market themselves on an appellation basis, calling themselves for example a ‘Great Southern’ wine, a ‘Swan Valley’ wine or wait for it, ‘Peel’. These two problems have an overlapping solution. The great advantage Australia has as a wine-making culture is its willingness to innovate. The great advantage WA has as a wine-making region is terrific diversity of styles. It’s partly explained by being really old geologically and really big in area. A tremendous soil diversity exists and this has consequences for wine styles. The ‘story’ of West Australian wines should be diversity and innovation, not life-style, beaches or natural environment. Here’s how this positioning overlaps the appellation issue: if you market yourself as ‘Western Australian’ you are allowed to blend wines from different regions and sub-regions in that wine. You can mix Swan Valley shiraz with cool climate shiraz from the Great Southern. This leads to a complexity you cannot get with a Swan Valley or Great Southern wine alone. This should be the positioning of West Australian wines: Adventures in winemaking. A willingness to introduce complexity through regional diversity and a willingness to innovate with winemaking. That positioning works as well in domestic marketing as it does in export. It’s an easy-to-understand story and it gives people a reason to buy a West Australian wine. Previous Article← Who put that avatar in the bath? Dead on. I have lived and worked on marketing in two of the three wine making areas of the US. Play a little head game. Pretend you are marketing a restaurant. Does it make sense to say “Come to my place – we are from the hills of south xzy land?” I think not. It makes more sense to say something like ” We feature a relaxed romantic atmosphere and a fresh twist on Asian cuisine that evokes tastes of the sea.” You talk about the experience and the flavor. French and Italian wines can market by region because they have several millennium of taste and style associated with a region. Setting up a vision of taste experience and the mood a particular label invokes makes much more marketing sense than regional marketing. This is especially true of smaller labels. Answering the consumer question “What does this wine bring to the table?” is critical. It also makes for a huge opportunity because there are many ways to make that answer fresh and compelling. I assumed you had made up a joke logo, but did a quick check. What a stinker. 1. Is that two band-aids? 2, the animation and stills seem to indicate that it’s been puked up. Interesting to read your thoughts on this one.